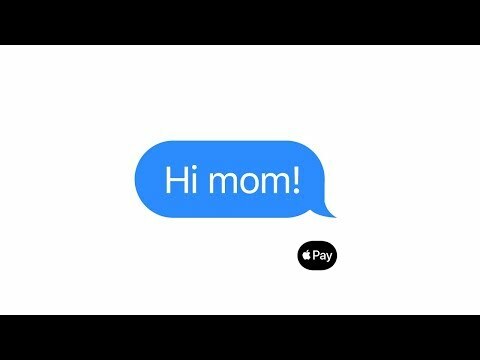 The 15-second spots are part of a new ad series called "Just text them the money" which, as the title implies, focuses on Apple Pay Cash integration with Messages. Speed and ease of use are the overarching themes in Apple's latest ad thrust. 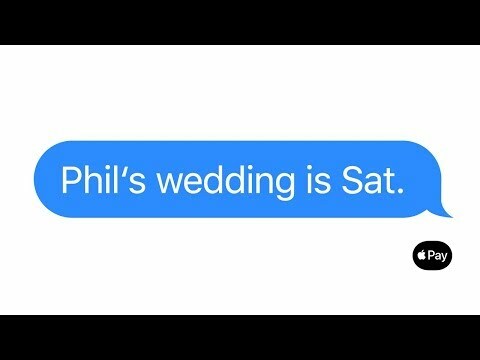 Each commercial shows what is supposed to be a realtime Messages conversation, with familiar blue and gray text bubbles popping up onscreen as they would on iOS or Mac. There is no backing track, just the default notification sound assigned to incoming and outgoing messages. The ads suggest Apple Pay Cash is a fast, easy to use alternative to sometimes messy P2P systems that require users log into and conduct transactions from a standalone app or web interface. Direct integration in Messages and seamless authentication with Face ID or Touch ID means Apple Pay Cash users can send or request money without leaving the messaging interface. 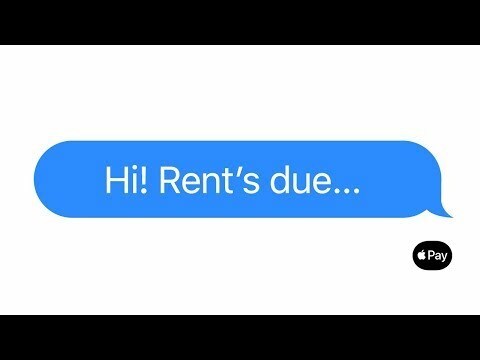 One ad demonstrates how roommates can send each other cash to cover the rent, while another shows a mother sending their child grocery money after being sent a picture of an empty refrigerator. A third ad features two friends, one of whom got tickets to the big game. They are able to suggest a specific dollar amount, in this case $250, that is detected by in-app data detectors, allowing the other user to simply tap to send the desired funds. Finally, a fourth ad highlights a more advanced Apple Pay Cash feature that lets users request money from a second person. 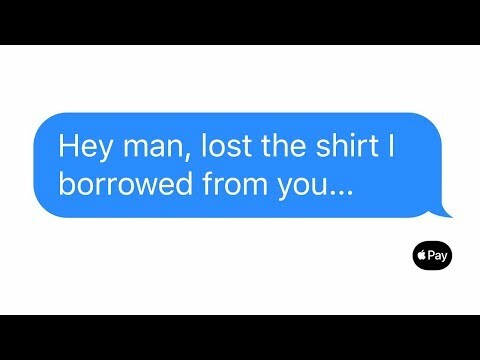 In the ad, one user loses a shirt they borrowed from a friend and attempts to compensate by sending them $15. The item is actually worth $160, so the second user sends a request for $145, which can be paid by tapping on "Pay" within the Apple Pay Cash text bubble. Initially scheduled for release with iOS 11 last September, Apple Pay Cash was delayed by more than two months before it arrived on U.S. iPhones and iPads in December. The person-to-person payments tool boasts Messages and Siri integration, allowing users to send money to each other. Money received can be put toward Apple Pay purchases or transferred from an Apple Pay Cash card to a bank account. Unless I'm missing something since I've been using the service since it launched, privy to it coming for many months before that, and wanted such a solution from Apple for years (along with many posters here), I don't think you can have a more straightforward set of ads in such a short timeframe about what a service does. The actual buttons for it, only being usable via iMessages in Messages (not SMS), and, of course, setup with a debit card (for zero fees) in Wallet may a hurdle, especially if they don't use Apple Pay or Wallet now. I know a lot of people of all ages that think putting their card number into their phone is less secure than handing it to an employee at a retailer or restaurant but that will change in time. The last one is too funny. Love them all. But, when will be Apple Cash coming to Australia or the rest of the world? I have the same question but for Canada. I'm tired of waiting. Any news ? Clever spots! Not sure how decide global rollout timing. In US, where more than 40 percent mobile users are in iOS, it certainly makes sense to launch here. But of course families anywhere would find useful, even if a nation's iOS percentage is small. With Apple Pay I get why it takes time to ink deals with countries and get the bank-end servers set up to support it, but I’d think Apple Pay Cash would be much easier as I assume it all goes through Apple servers since it’s through iMessage. I can still see them requiring some federal approval but I imagine that’s easier than Apple Pay, so hopefully this roll out will be much faster. So want this in my country so I can stop paying exorbitant fee on PayPal sending money to my friends oversea. Do it Apple. Amazing ads!! I Like how these ads dismiss the knockoffs completely. Hopefully someday iPhone will have iPod marketshare. If you do it correctly, you shouldn't be paying any fee to PayPal. I've done this for years without paying a fee. The only time I've ever paid a fee on PayPal is when I sold something on eBay.